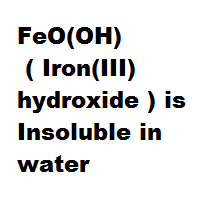 Is FeO(OH) ( Iron(III) hydroxide ) Soluble or Insoluble in water ? 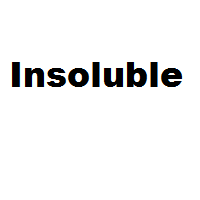 Home › Soluble or Insoluble › Is FeO(OH) ( Iron(III) hydroxide ) Soluble or Insoluble in water ? 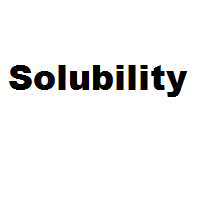 Question: Is FeO(OH) ( Iron(III) hydroxide ) Soluble or Insoluble in water ?